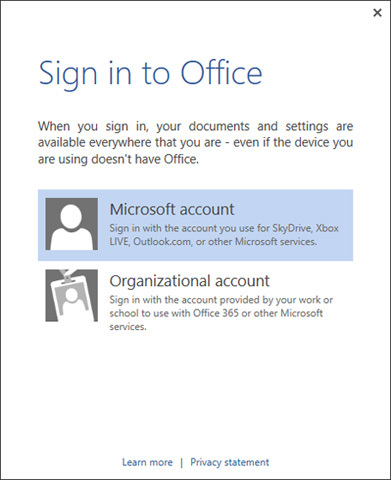 During the we summer completed our Office 2013 upgrade cycle (installed on our base image for all machines) to match up with Office 365 accounts being created for all staff and students. 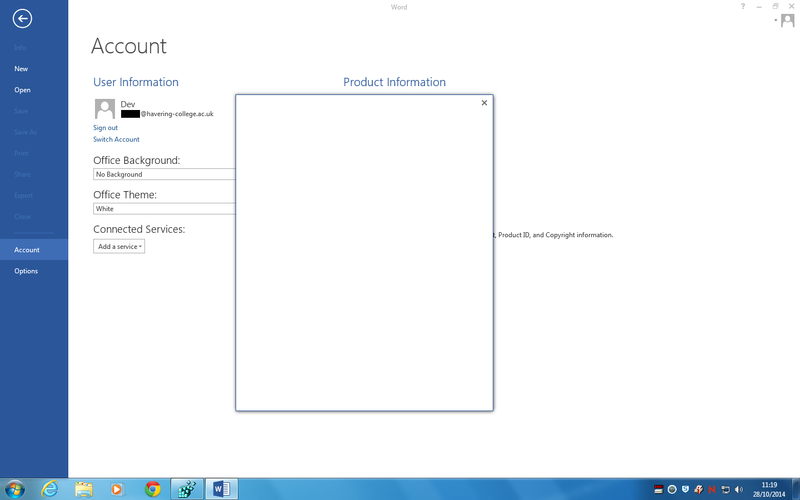 With email fully migrated and SharePoint rolling out (more on that another time!) we started to notice the finer points of integrating desktop and cloud. This gets particularly “interesting” when a proxy server gets involved, which we (like many) organisations use for content filtering before hitting the web. Microsoft’s official line is not to use one where possible; however the requirement for domain-based firewall rules don’t make this easy so we needed to solve any proxy related issues as they appeared. We’d already had to make alternations to our proxy setup before in order to fix Outlook autodiscover issues at the start of our email migration project so the finger of blame was soon pointing in a similar direction. The usual URLs had already been added to the proxy bypass authentication list previously so it seemed that the problem didn’t lie there. In order to fix the previous problems (caused by a known Outlook bug) we had to move from manual proxy settings to using Auto Detect with a wpad.dat file. Therefore the next step was to try doing the polar opposite and set it to manual instead, which worked successfully. That would be the end of the story but as mentioned above we need auto configuration for Outlook so more detailed investigation was required to find a fix that worked with the auto detect proxy method. So now we knew one way of making the connection work and one way to make it break there needed to be a way to compare the traffic in each case to spot the difference. Proxy server logs were no use in this case as the traffic didn’t get that far, next stop was TCPView. Running it in each scenario showed a successful proxy connection with manual settings (as expected) but on auto the sign-in seemed to be trying to go out directly and therefore failed. I enabled logging to a folder on the currently logged in user’s desktop using the command below. Note it’s worth setting the trace file size to a large number (50MB in the example below) as it soon fills up and I wanted the full connection history without anything being overwritten. The command creates a log file for each program that uses the winhttp proxy and gives a (very) detailed view of everything that goes on during the sign in process. I then ran through the login process under each proxy configuration and soon spotted the difference. It seems that Office automatically checks if the Office 365 domain is federated as you sign in your account, which makes sense given that it will automatically show OneDrive for Business and SharePoint options if your AD and O365 are hooked up via ADFS (or similar). Trying the URL manually in a browser resulted in a failed connection on the auto proxy, clearly pointing to it as a culprit. Previously we’d had to add some specific entries to our WPAD file to modify the behaviour of traffic for Outlook auto detect so I thought I’d try a similar trick again. In theory we shouldn’t need this rule as the last line of the file includes a final catch-all to route all other traffic not matching any previous instructions to go to the proxy, however something wasn’t behaving as it should so making the rule explicit removes all doubt. With that in place I rebooted the machine to make sure the change to WPAD was detected, fired up Word and was able to log in with my Office 365 account first time. Removing the entry reverted to the previous behaviour, proving the fix. Another interesting observation was that the odc.officeapps.live.com domain was already in our bypass proxy authentication list but in this case it didn’t seem to make any difference as the data wasn’t even getting that far. Why WPAD is acting strangely is still unknown but fortunately the workaround has proved a consistent fix thus far. no error is good error? For reference here’s how the initial login screen looked pre-SP1 and the newer equivalent that came in after the updates. It seems the first part of the process determines what side of the consumer \ professional fence the account in question is part of then the second stage is the actual authentication (which then fails with the screenshot at the top of this post). We’ve recently federated our Active Directory domain with Office 365 to give users single sign-on functionality for our new SharePoint-based Staff Intranet. In this scenario Office programs automatically detect the presence of a federated account (which explains the URL found previously) and offers up the appropriate services. If auto proxy detection is on but the explicit entry isn’t in WPAD the federation attempt doesn’t work and you’ll just see the standard manual “Add a Place” options. If you try to add any Office 365 services you’ll (unsurprisingly) fail until you either switch to manual proxy or use the workaround above.